The Centre Party International Foundation is a Swedish Party Affiliated Organisation (PAO) established in 1995 by the Swedish Centre Party. It shares the same core values as the Centre Party, a social liberal party with a strong emphasis on sustainability and decentralization. The Foundation works with local partners to support democracy and human rights in developing countries while their main focus is empowering women and youth to actively engage in political participation. “The mission of the Centre Party International Foundation is to strengthen democracy and human rights, with a focus on gender and environmental issues, in collaboration with political parties and organisations working to strengthen liberal values and local democracy, also outside large population centres”. 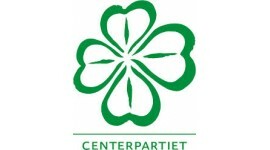 The Centre Party International Foundation is one of the seven Party Affiliated Organisations (PAOs) in Sweden. It receives the main part of its funding from the Swedish International Development Cooperation Agency, SIDA. The objective of all Swedish development assistance is to help create conditions for people who live in poverty to improve their lives. The specific objective of the PAO assistance is to promote human rights, democracy and good governance. According to the Swedish government’s strategy “Special Democracy Support through Political Party Affiliated Organisations” (PAOs), Sweden is to help ensure that all individuals in developing countries have the freedom and the genuine opportunity to organize in political parties and civil society organisations. Support for sister parties and affiliated political movements and organisations, with the goal of ensuring well-functioning democratic political parties. Support for multiparty systems, with the goal of ensuring well-functioning, democratically based multiparty systems. In terms of the first area, support for sister parties and affiliated political movements and organisations, the Centre Party International Foundation currently supports sister parties in Burkina Faso (ADF/RDA), Malawi (NARC) and Bosnia and Herzegovina (Nasa Stranka), as well as two civil rights organisations, one in Belarus and the other in Burkina Faso. 3. the political and ideological capacity of their partners. Activities include training workshops on various topics, seminars for strategy development or revision of political manifestos, partner conferences for networking and training, mentoring etc. Activities are sometimes implemented by outside facilitators, but in general activities are carried out by their partners along with financial and organisational support. In terms of the second area, support for multiparty systems, the Centre Party International Foundation is one of the implementers of the Program for Young Politicians in Africa (PYPA). PYPA is a ground breaking capacity building programme aimed at young politicians in eleven African countries. It is a true multiparty initiative since both implementers and beneficiaries of the program come from political parties with different ideologies. It is the fruit of collaboration between four of the seven Swedish PAOs, two from the majority and two from the opposition. Specifically, the Centre Party International Foundation implements the programme in Burkina Faso, Benin, Niger and Mali. Beyond the actual activities, one of the added values for their partner organisations is the insight and access they get into the Centre Party and its affiliated organisations, such as the Centre Women, the Centre Students and the Centre Youth. Over time, they have built a platform of mutual collaboration which supports the exchange of knowledge and experiences. It gives both sides the possibility to network and create mutual understanding for each other’s political contexts. They strongly believe that increasing knowledge and understanding is crucial when working with politics over country borders. The Centre Party International Foundation has its office in the same premises as the Swedish Centre Party in the Old Town of Stockholm. Catherine Isaksson, Secretary General of the Centre Party International Foundation.